We had more dance fun this weekend :). Lilly competed in her first competition of the season and did well! Here we are after she performed her solo - it's always nice to get that one out of the way! I'm always amazed at the poise these young girls have up on stage all by themselves (you'd never catch me doing that!!). But.... here's something I can do..... tell you about our next product of the week :). 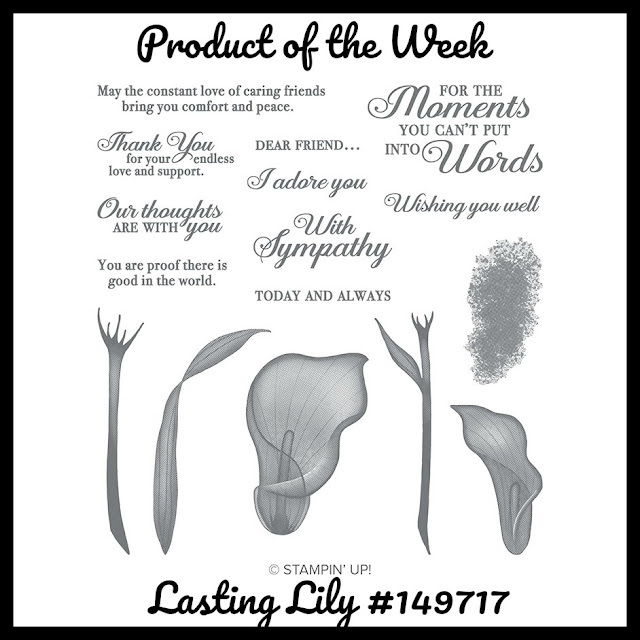 This week's Product of the Week over on the Gathering Inkspiration Stamp Studio Facebook Group is the Lasting Lily Stamp Set!! Stampin' Up! says..... Let us help you with the moments you can't put into words. Use these Distinktive images and loving thoughts to craft messages of comfort and peace. That just about sums up this stamp set, I'd say!! 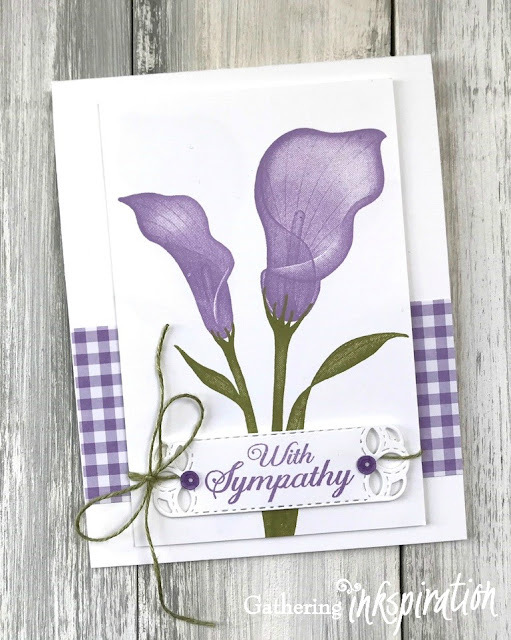 Remember.... you can get the Lasting Lily Stamp Set for FREE with a $100 order during Sale-a-Bration (now thru March 31)!! 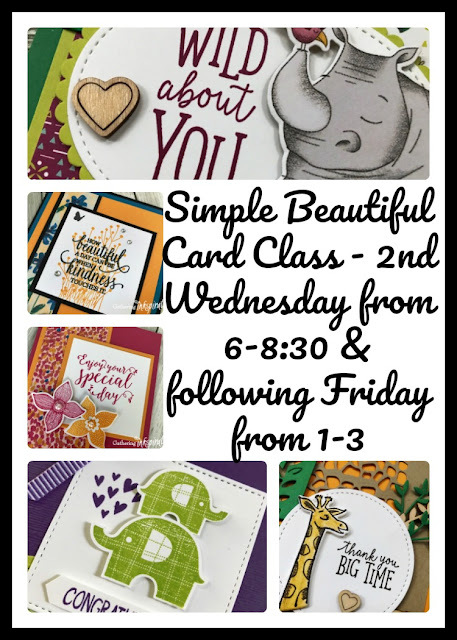 We made this card at our Simple, Beautiful Card Class last month.